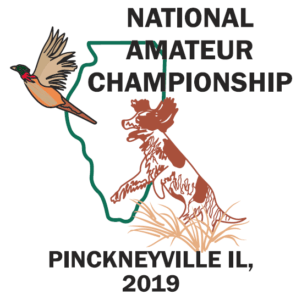 Dogs earning their qualifying points in a trial held between November 16, 2019, and November 22nd 2019, will be allowed to enter the trial ONLY if the field trial secretary is notified OR the entry is submitted via Hunt Secretary no later than 11:59:59 Eastern Time (ET) on November 22, 2019. Notification can also be made by phone or text (503) 539-5564 or via email NAC@onlinenw.com. The running order may be adjusted at this time to accommodate the late entries. Payment for these entries must be received prior to the start of the trial. All other entries must be received by the original closing date of INSERT DATE WHEN RECEIVED before 6:00 p.m. PT. Points awarded between November 5, 2018 (inclusive),and November 22nd (inclusive), 2019 will be included in the high point calculations. Placeholder - Will update when received. Will post maps when received from the Field Trial Committee. Please contact ? to secure your sponsorship of the 2019 NAC!